Day 2 and Just Scraping Through... - A Rose Is A Rose Is A Rose! October is a terribly busy month for me, both at work and at home. Despite knowing the hectic pace of life that I’d be having this month, I decided to participate in the October Ultimate Blogging Challenge and NaBloPoMo. Yeah, I guess, this is a perfect example of ‘being stark raving mad’. And to add to this, it is day 2 and I have NO thoughts or ideas to write today’s post! 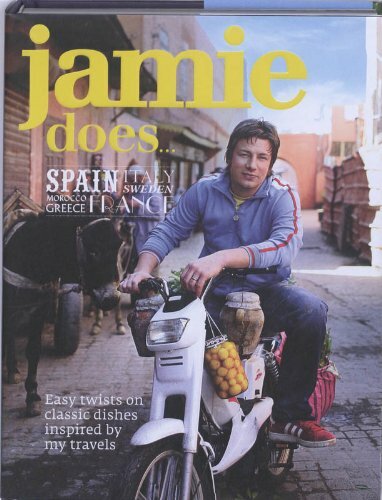 This is a cook book and Jamie is KG’s favourite chef. We have a dinner party at home and he is cooking a chicken dish from this book. Have you observed that we have a dinner party at home and I am busy writing a blog post! Yes, the perks of having a husband who is passionate about cooking! Ah, a post is done… so random and so time-pass. I guess, if I need to complete this every day blogging challenge, I need to pull up my socks and get my act together. Nice one. If I follow you, I can never overtake you. Your post is actually cute. I so love such prompts. So are you joining in as planned earlier, Reema? You are brave Shilpa 🙂 UBC and NaBloPoMo.. wow 🙂 good luck.. I am happy that I will get to read a post everyday..
……………..and Shilpa we followed your blog like the lamb followed Mary to school. 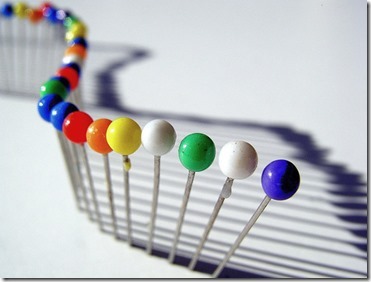 You have a treasure of ideas even though you say you do not have any topics to write. It really was a cute post, but there was gyaan in there too. You just taught us differentways to use the same word. Looking forward to seeing how the month is going to be tackled. Nice thoughts put a little differently. Interesting to read. Jamie is also my daughter’s favorite chef, and she follows all his recipes, and comes out a winner all the time. So there are some benefits in following some one I guess. 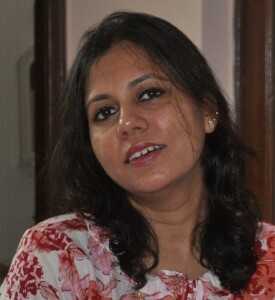 Shilpa, hats off to your patience and the strong will power to undertake so many tasks and complete them with finesse. Loved reading today’s post;Your Husband’s cooperation is unique. Wonderful person!! Already another challenge! Hats off to you, Shilpa. And what a busy person you are and still finding time for blogging. I truly admire you. I loved the way you did his post! Anyway, you did create a post with the prompt and its cool. Good time pass post Shilpa.. Both are everyday blogging challenges so one post a day and you get to be a part of 2 challenges 😀 Cool na? Does stark, raving mad and incredibly clever go together – loved the post – giggling at KG slaving away while you post! Lolz… love what you did with that prompt. But I have to admire your commitment. Cheers to blogging and bloggers like you. Shilpa ,you have replied to each and every post.Only my comments have not evoked any response. I am sure it is by over sight. I have never participated in any of these challenges on social media.May be some day I will…tillI arrive on the scene….good luck to all participants.